AFRICANGLOBE – When Gov. 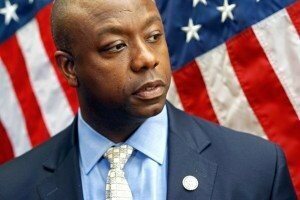 Nikki Haley of South Carolina announced on Monday that she would name Representative Tim Scott to the Senate, it seemed like another milestone for African-Americans. Mr. Scott will replace Senator Jim DeMint, who is leaving to run Heritage Foundation. He will be the first Black senator from the South since Reconstruction; the first Black Republican senator since 1979, when Edward W. Brooke of Massachusetts retired; and, indeed, only the seventh African-American ever to serve in the chamber. The cheerleading over racial symbolism plays to the Republicans’ desperate need to woo (or at least appear to woo) minority voters, who favored Mr. Obama over Mitt Romney by huge margins. Mrs. Haley — a daughter of Sikh immigrants from Punjab, India — is the first female and first non-White governor of South Carolina, the home to White supremacists like John C. Calhoun, Preston S. Brooks, Ben Tillman and Strom Thurmond. Mr. Scott’s background is also striking: raised by a poor single mother, he defeated, with Tea Party backing, two White men in a 2010 Republican primary: a son of Thurmond and a son of former Gov. Carroll A. Campbell Jr. But his politics, like those of the archconservative Supreme Court justice Clarence Thomas, are utterly at odds with the preferences of most Black Americans. Mr. Scott has been staunchly anti-tax, anti-union. Just as White Southern Democrats once used cynical manipulations — poll taxes, grandfather clauses, literacy tests — to get around the 15th Amendment, so modern-day Republicans have deployed Blacks to undermine Black interests, as when President Ronald Reagan named Samuel R. Pierce Jr. to weaken the Department of Housing and Urban Development, Clarence M. Pendleton to enfeeble the Commission on Civil Rights and Clarence Thomas to enervate the Equal Employment Opportunity Commission. Over the course of history, racial alignments have shifted radically. The Democrats were the party of White supremacy until the New Deal. The Republicans were a party of relative, if feeble, support for civil rights until the 1950s. The tables have completely turned. No Republican presidential nominee has won the Black vote since 1936. All four Black Republicans who have served in the House since the Reagan era — Gary A. Franks in Connecticut, J. C. Watts Jr. in Oklahoma, Allen B. West in Florida and Mr. Scott — were elected from majority-White districts. There is little that connects these men to mainstream Black politics or to the country’s first two Black senators, Hiram R. Revels and Blanche K. Bruce, who were elected (by the Mississippi State Senate) during Reconstruction, that extraordinary and brief moment of African-American political empowerment after the Civil War destroyed chattel slavery. Not until the Great Migration of Blacks to Northern cities between the two world wars were they again capable of electing candidates of their choosing. In the South, Blacks began to register to vote in substantial numbers only after the Supreme Court overturned the “White primary,” which had allowed Southern Democrats to exclude Blacks by defining the party as a private club, in 1944. The Voting Rights Act in 1965 turned the trickle of Black politicians into a flood. But the increase in representation has been a mixed blessing. Redistricting and gerrymandering have produced “safe” seats for Black politicians across the South but have also concentrated Black votes in Black districts, giving White Republicans a lock. The trope of the Black Republican has retained a man-bites-dog newsworthiness that is long past its shelf life. Clichés about fallen barriers are increasingly meaningless; symbols don’t make for coherent policies. Republicans will not gain significant Black support unless they take policy positions that advance Black interests. No number of Tim Scotts — or other cynical tokens — will change that. Adolph L. Reed Jr. is a professor of political science at the University of Pennsylvania.